Android is based on a modified Linux kernel which was initially developed by Android Inc., a company co-founded by Andy Rubin in October 2003, and purchased by Google in 2005 for circa $50 million. Google released its Beta mobile phone operating system, Android, on the 5 November 2007, the same year Apple launched the iPhone, with Google releasing its first SDK one week later, on 12 November 2007. Did you know? When Google launched Android, Eric Schmidt (Google's then CEO) was a member of Apple's Board of Directors, a position he had held since August 2006. At the time of its launch, the iPhone utilized Google's backend services built into some of Apple's core iPhone apps, such as Maps and YouTube. It wasn't until August 3, 2009, that he resigned from Apple's Board of Directors due to the obvious potential conflicts of interest. Before his resignation, his effectiveness as an Apple Board member was significantly diminished, often having to recuse himself from Board meetings when the subject matter turned to iPhone or its fledgling operation system - iOS. During the early stages of its accelerated development, Android had a very aggressive release schedule. We often saw multiple releases per year, and at its peak in 2009 Android received no-less than four significant updates. More recently, Google has settled into yearly major updates. In 2011, Android became the world's most popular mobile Operating System - a mantle that it has not relinquished since - and is unlikely to do so as developing a modern OS for any platform is a major undertaking. As of April 2018, Android had a market share of 75.66%, with iOS holding 19.23%. The 5.11% for 'other' combines the likes of Windows, Series 40, Samsung, and Blackberry. Taking tablets into account, iOS only closes the divide by 2-3%. Not all devices running Android are equal though. Once Google launches an Android release, it makes the source code available via an open source license allowing for distribution and modification. However, to use the Android trademark, device manufacturers have to license this separately from Google. Additionally, the Android OS doesn't include that many core apps. Those apps that we take for granted such as the Play Store, Chrome, Gmail, Maps and the API's that access Google's services are part of Google's Mobile Services, which has to be licensed separately from Google. Google will only grant licenses to manufactures that meet its strict compatibility requirements along with other criteria. This explains why Amazon's Fire tablets, which run a 'forked' version of Android, don't make any reference to Android - instead choosing to call its operating System Fire OS. Similarly, Amazon doesn't license Google Mobile Services and provides its own browser called 'silk,' Amazon app store and other supporting apps that access Amazon's eco-system. As stated previously, the open source license allows modification, enabling device manufacturers to provide a point of differentiation in the sea of Android devices both through 'skinning' the stock Android experience and/or enhancing other Android features. Samsung with its Samsung Experience, Huawei and its EMUI are two examples of manufacturers who take this approach. Others, such as Motorola and Nokia prefer a 'lighter' touch providing a near stock Android. This can be a contentious subject which warranted our own Sunday debate earlier in the year which you can read here. Of interest, 65% of voters preferred stock android. Android 1.0 was the first commercially available release of the OS. 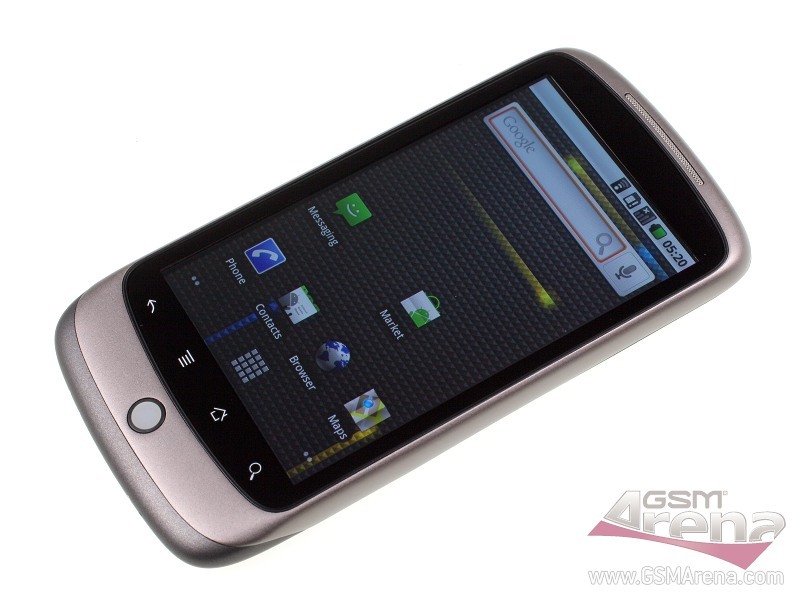 It was available on the pioneering device - the T-Mobile G1 (released October 2008 in the US and the UK) along with the Android source code. It may be a long journey but the first step is daring enough. Instead of trying to expand on an already existing platform Google decided to build a new one from scratch and the effort is well worth it. For even more nostalgia, here's the video that Google made available at the time providing a look at Android. Google had yet to expose the public to its dessert inspired release names for Android but it was known internally as 'Petit Four'. Android version 1.1 was a relatively small update that was released coinciding with the launch of the HTC Dream, an internationally available version of the T-Mobile G1. Cupcake was the first Android release to have a sweet public-facing name, a tradition Google has adhered to since, with every subsequent Android release being named after a dessert - whose name started with the next letter of the alphabet. Cupcake introduced many UI enhancements including a new auto-rotate option, a new boot animation and animated screen transitions. On-screen keyboards with text prediction and a custom dictionary were added to Android for the first time supporting such phones as the HTC Magic - freeing them from the bulk of a physical QWERTY keyboard. Still a significant differentiator against Apple, Google introduced their AppWidget framework enabling homescreen widgets. While cameras were allowed to stretch their legs even further by being able to record video in both MPEG-4 and 3GP video formats. Users could also copy and paste within the web browser. Donut introduced support for WVGA screen resolutions allowing Android to run on a variety of devices with different displays with varying aspect ratios - a marked improvement from the fixed 320x480 supported up until now. The voice and text entry Quick Search Box was enhanced to consolidate results. Now including results from the web and developer apps in addition to the users local content. Improvements to the Android Market brought searching, app screenshots and the top free/paid apps categories. The Gallery, camera, and camcorder became better integrated in addition to faster camera access. Eclair further optimized performance, came with a revamped UI and supported more screen sizes and resolutions, while also bringing live wallpapers. Google Maps Navigation became a viable replacement for in-car navigation units with its turn by turn directions, 3D view, voice guidance and traffic information. Smartphones started to close the gap on consumer digital cameras by supporting new camera features, including flash, digital zoom, scene mode, white balance, color effect and macro focus. Android 2.1 was a subsequent release, which was dubbed Eclair, too, as it wasn't a major update in terms of functionality only introducing minor API changes and bug fixes. Along with Android 2.1 Eclair, Google introduced its first Nexus devices as well. Manufactured by HTC, but sold directly by Google, the Google Nexus One was released in January 2010, and in May 2010 it also became the first phone to be updated to Android 2.2 Froyo. Further stretching its legs, Gingerbread delivered a better user experience by simplifying the UI and improving performance even further in addition to paving the way for even more form factors with support for extra-large screens sizes and resolutions. A standout feature was longer battery life, achieved by better management of those apps that were keeping devices awake for too long. Additional Gaming APIs brought about a richer gaming experience to Android by providing developers with lower level access to audio, graphics, device controls, and storage capabilities. Additional hardware capabilities were unlocked through Near Field Communication (NFC) support, multiple cameras now allowing native support for front-facing cameras, and more sensors (such as gyroscopes and barometers). Fun Fact - Since Gingerbread, every version of Android has contained Easter eggs - take a look at the brief overview of those here. OK, time to take on Apple's iPad. Honeycomb was an Android release optimized and intended for tablets only. 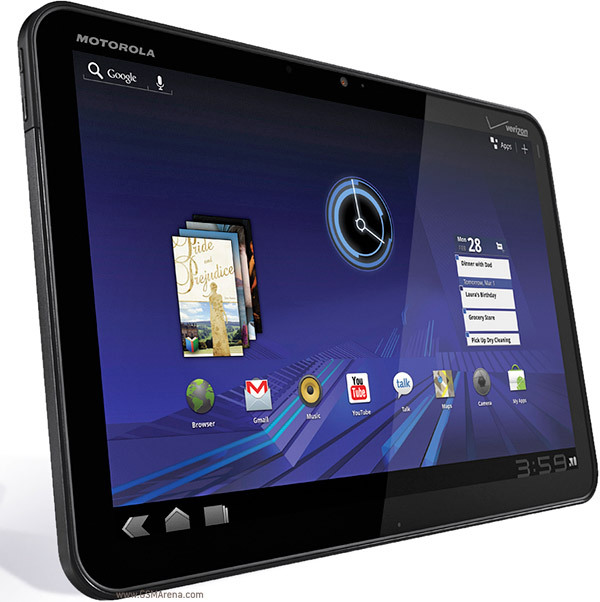 With Google choosing the Motorola Xoom as its supermodel to best showcase its features. Honeycomb provided an optimized UI for tablets with their larger screen real-estate. Reducing the requirement for physical navigation buttons Honeycomb's System Bar featured quick access to notifications, status, and soft navigation buttons, available at the bottom of the screen. The new Action Bar gave access to contextual options, navigation, widgets and other types of content at the top of the screen. Quick Settings was introduced, bringing together date, time, battery and connection status. All topped off by a simplified multitasking experience. Honeycomb also brought hardware acceleration and support for multi-core processors to the tablet party. Subsequent Honeycomb releases, again tablet only, would bring support for external USB devices including keyboards and pointing devices, resizable Home Screen widgets, support for an enhanced range of tablet hardware and a compatibility display mode for those applications not yet optimized for tablet screen resolutions. Ice Cream Sandwich consolidated both Android 2.3 and Android 3.0 into a single unified release with a hardware accelerated user interface that would support both smartphones and tablets. That made on-screen navigation buttons available on smartphones for the first time. Alongside the new Roboto font, widgets were moved to a tab of their own in the app drawer, while folder creation was enhanced with a more natural drag-and-drop approach. Data Usage control within settings allowed you to set warnings when you approached a certain usage limit, and disable data use when the threshold is exceeded. Android Beam leveraged the supported NFC chips allowing the exchange of web bookmarks, contact info, directions, YouTube videos and other data between NFC equipped devices. Smartphone camera functionality evolved again with the introduction of an improved camera application offering zero shutter lag, time lapse and panorama modes, and the ability to zoom while recording 1080p video recording for stock Android devices. A built-in photo editor allowed you to tweak your captured images. Of particular note, Ice Cream Sandwich introduced Face Unlock, a feature that allowed you to unlock your phone using facial recognition software. Apple's Face ID would gain prominence six years later utilizing both software and hardware components. Android VPN Framework (AVF), and TUN (but not TAP) kernel module. Jelly Bean introduced Project Butter with its sole purpose to provide buttery smooth performance and functionality for the user interface. It achieved this through touch anticipation, a fixed frame rate of 60 fps, Triple buffering in the graphics pipeline, CPU input boost (don't ask) and synchronizing touch to vsync timing. Google Now poked its head above the wall for the first time, with its mobile assistant providing at a glance information based on your location, date and time, schedule and liked subjects. Jelly Bean introduced Actionable Notifications, with notifications expanding and allowing action to be taken from within them. You could also turn off notifications on an application-specific basis. The air was filled with peeps speaking or shouting "OK Google" to perform searches, send texts, get directions or play music. Android's user interface was enhanced to support an immersive design approach. A users content was put front and center as applications could either hide or make translucent the navigation and status bars. Improved caller ID was also a part of that release. Receiving a call from a phone number not in your contacts, showed matches from businesses with a local listing on Google Maps. Under the hood, Android Runtime (ART) was introduced as a new experimental application runtime environment(not enabled by default), as a replacement for the Dalvik virtual machine. Later in KitKat's lifecycle, a version of KitKat for Android Wear devices was launched, enabled by the addition of wearable extensions. As opposed to previous incremental design updates, Lollipop introduced a system-wide new look call Material Design, adding shadows and motion while improving navigation. Notifications moved to the lock screen. Songs, photos, apps, and recent searches from one Android device could be immediately picked up across all of your Android devices seamlessly. Under the hood, Android Runtime (ART) with ahead-of-time (AOT) compilation, replaced Dalvik. With Lollipop, Android became available on TVs and in our cars for the first time. Now On Tap, activated by pressing and holding the home button brought the ability to access Google Now's cards. Granular permissions allowing you to define what you want to share and when with the ability to turn permissions off at any time, too. Doze mode, which reduces CPU speed when the screen is off, combined with App Standby were introduced to stretch out battery life even further. While security was enhanced with the introduction of native fingerprint support. What time is it? Emoji time! Nougat put emoji's front and center. A trend, whether we like it or not continues, with 1500 emojis including 72 new ones while adding different skin and haircut to existing ones. 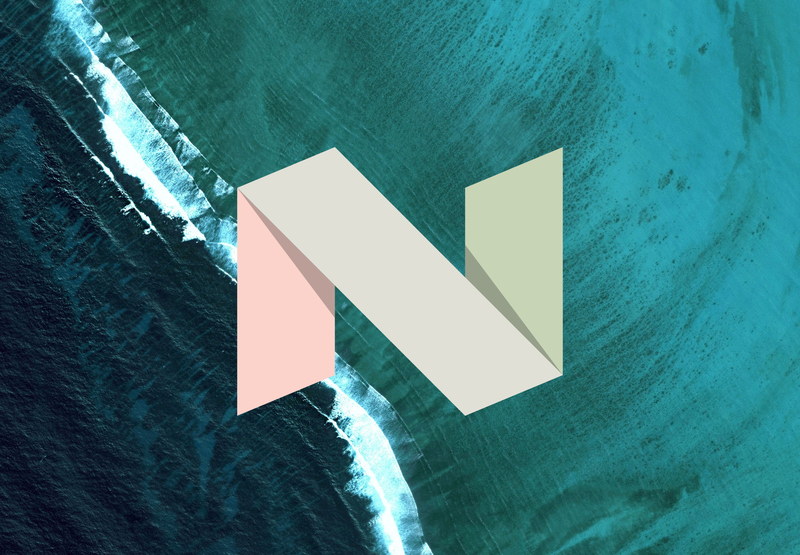 Click on the image below to read our Android Nougat Review. Continued user interface enhancements allow the switching between apps with a double tap, and the ability to run two apps side by side. While the new Vulkan API provides optimized 3D graphics for games and other applications, such as Daydream virtual reality platform (VR interface) introduced with Nougat. Oreo introduced further polish to the user interface by offering, Picture-in-picture support, Notification Dots that can be pressed quickly see what's new, and easily clear them by swiping away. Android Instant Apps allows access to new apps right from the browser, no installation needed. While Toast messages are now white with the same existing transparency (We didn't know this but Toast messages are the small pop-ups you see throughout Android, for example, clicking Send on an email triggers a "Sending message..." toast). Support for Unicode 10.0 emoji (5.0) and replacement of all blob-shaped emojis by round ones with gradient and outline was added. Further highlighting the fixation with emojis, Oreo amended the Hamburger emoji to move the position of the cheese slice! Under the hood, Oreo enables Project Treble, the biggest change to the foundations of Android to date: a modular architecture that makes it easier and faster for hardware makers to deliver Android updates. While boot times were improved 2x. Android Pie is the ninth major release of Android and the successor to last year's Android Oreo. The update introduces several new features primarily centered around using machine learning to make your phone smarter.